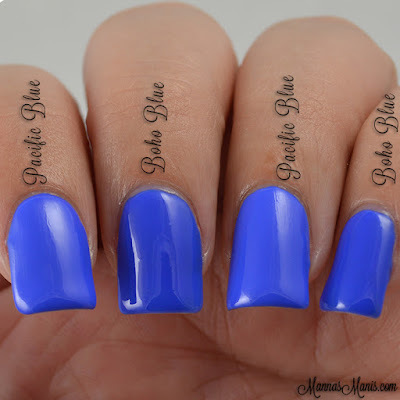 My first comparison post, omgz! 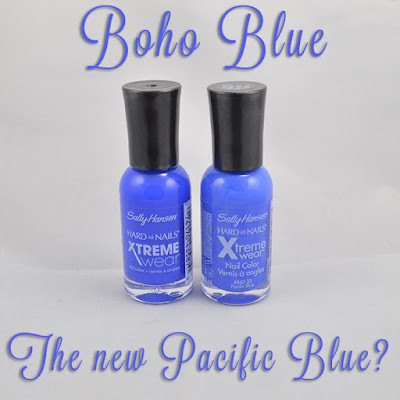 Monday I posted some polishes from Sally Hansen's fall collection, one of them being the blue beauty, Boho Blue. 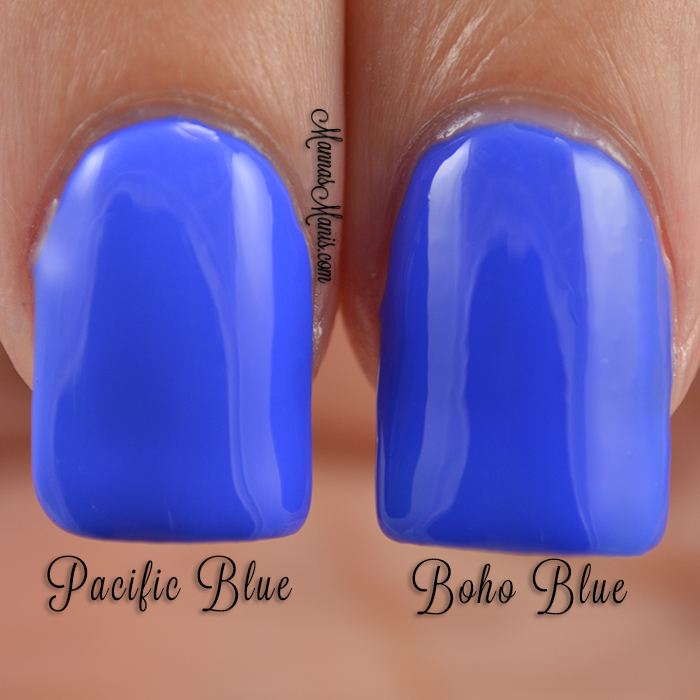 I stated it looked similar to Pacific Blue but totally spaced on doing comparison swatches. 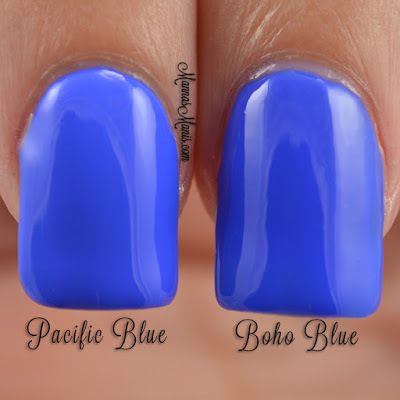 Well, check em out now! 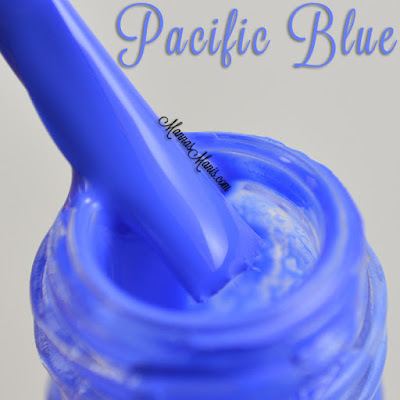 Final verdict: This is pretty close to the Pacific Blue that we all know and love. It is a little bit darker and the formula isn't as good though. 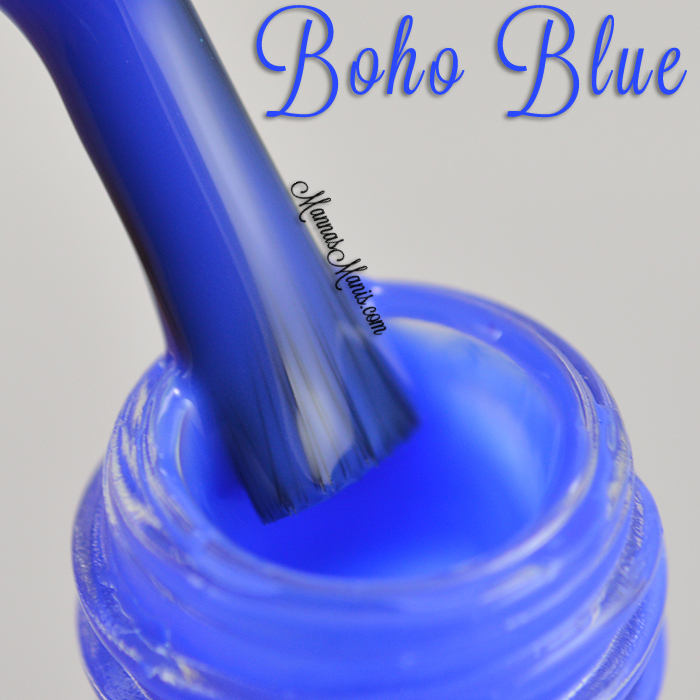 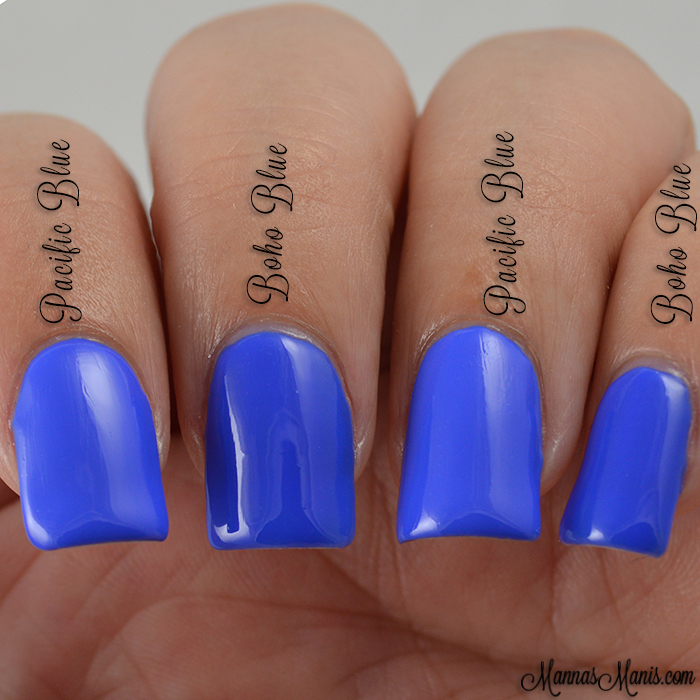 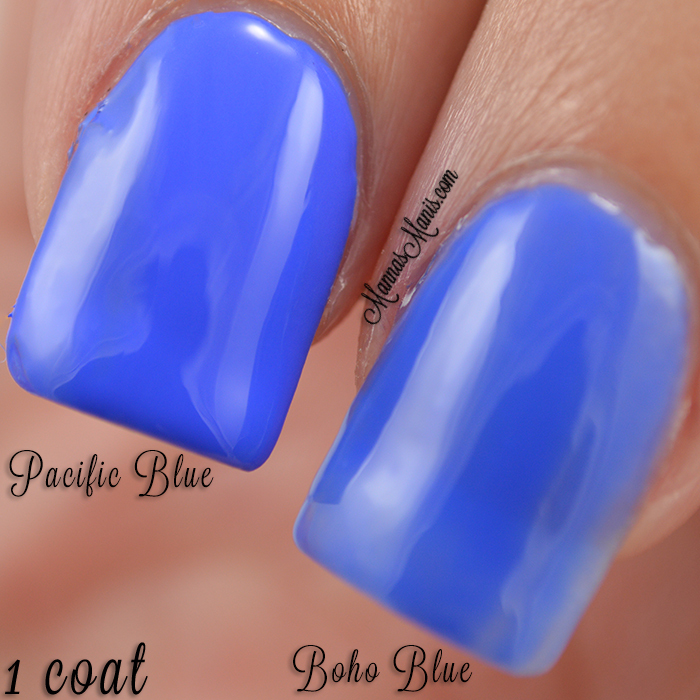 If you're running low on Pacific Blue, then you may want to try Boho Blue!